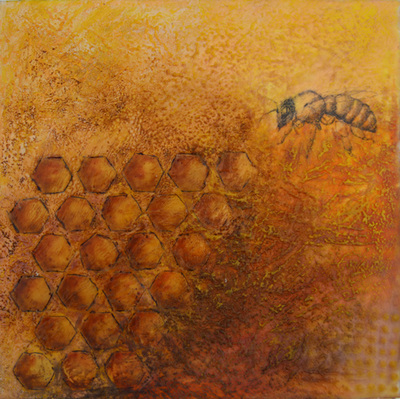 Carrie is concerned by the fact that so many species around the world are considered "at risk", "threatened", "endangered", or even "extinct". This series, titled Disappearing World, focuses on selected species which further highlight the issue by acknowledging their existence and the concern for their safe existence on this planet. The combined media of encaustic and graphite drawing juxtaposed into one composition, further alludes to the constant combination of nature's unpredictable characteristics alongside humanity's struggle to 'control'. 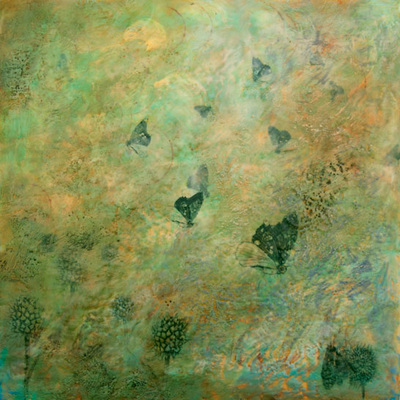 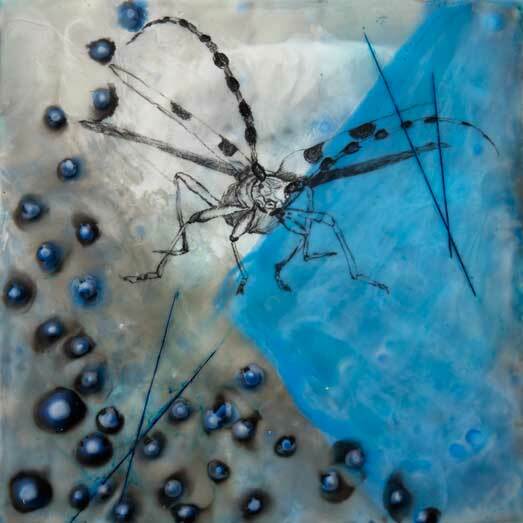 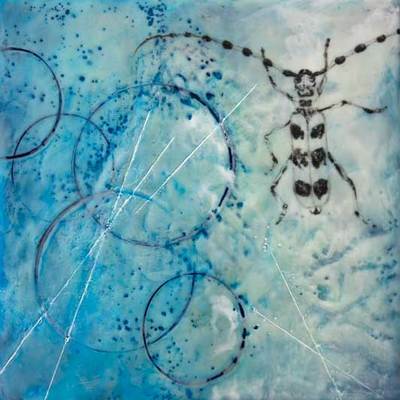 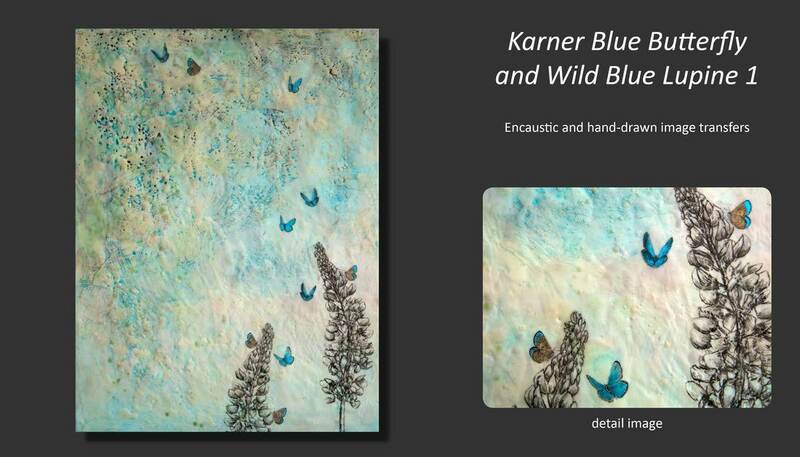 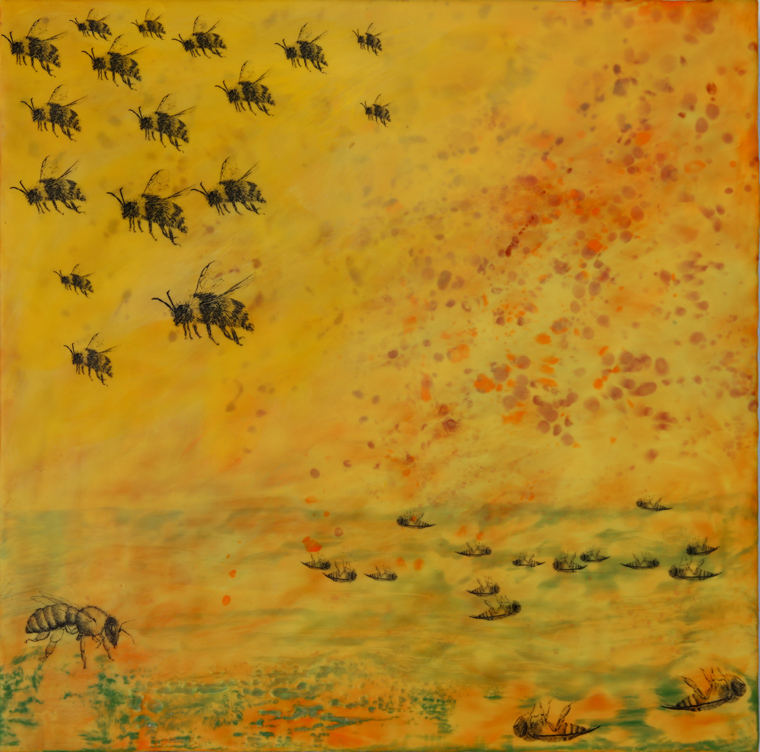 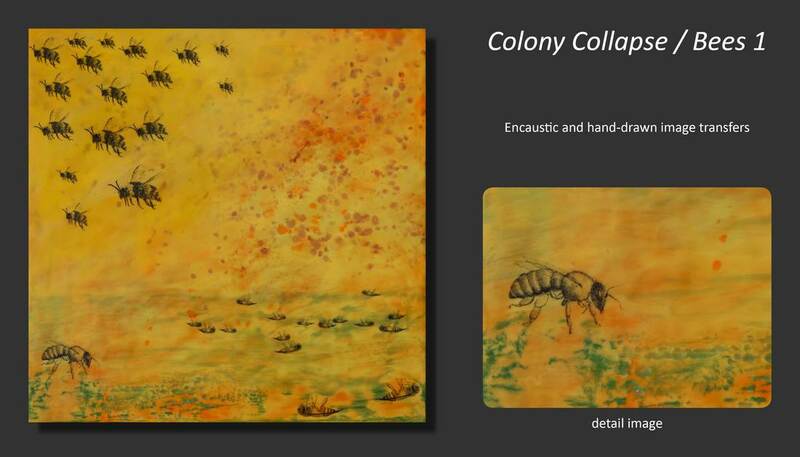 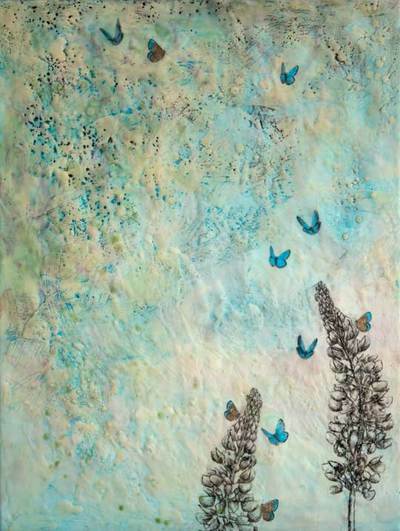 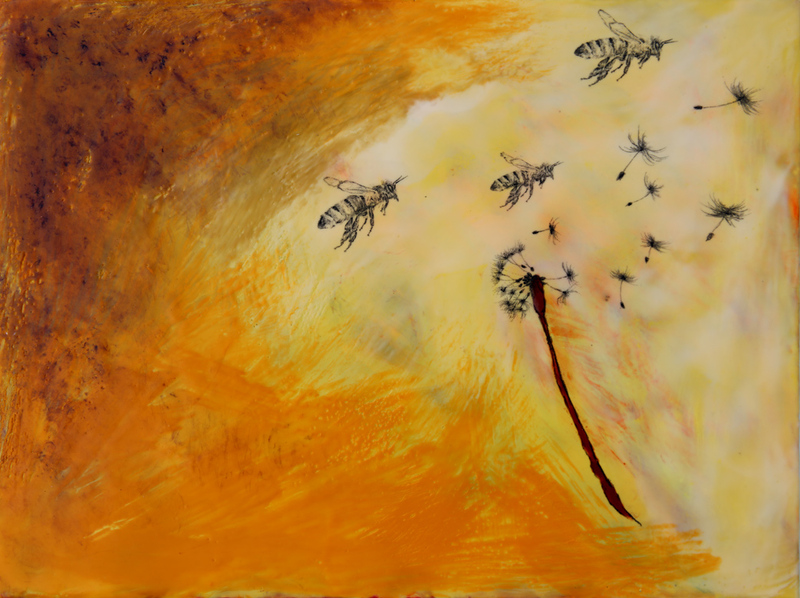 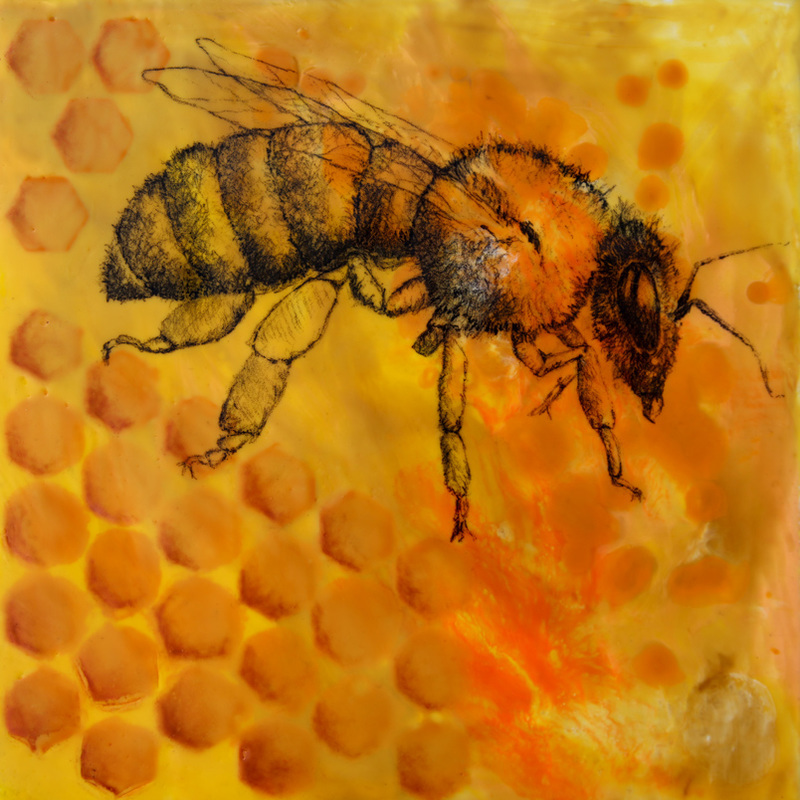 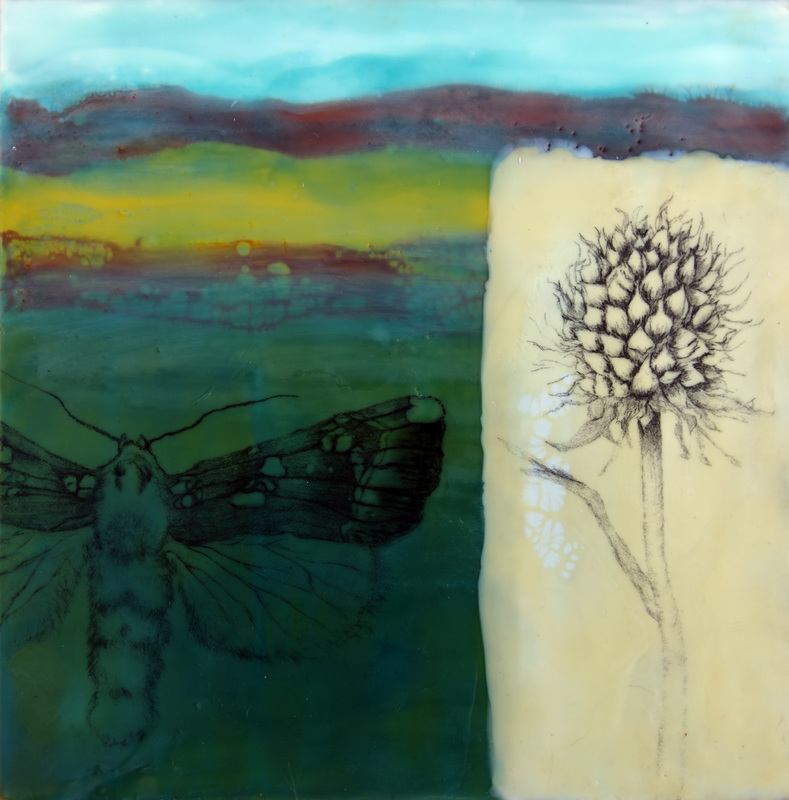 Encaustic is a very natural material, consisting of mostly beeswax and tree sap. 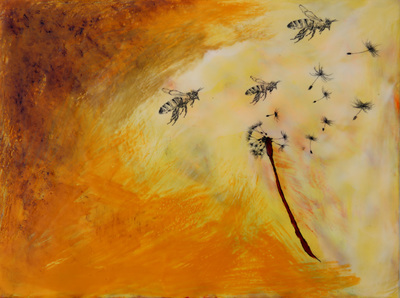 The wax is heated to a molten state, brushed on the painting surface, and then reheated to fuse each layer to the last. 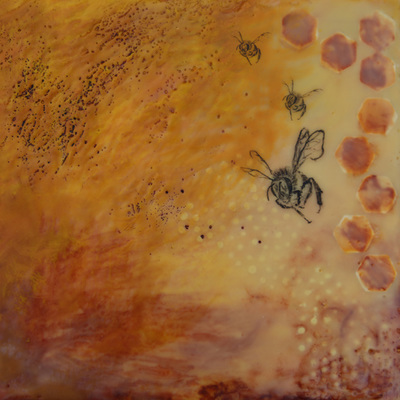 Painting with hot wax can often result in unpredictable outcomes, so the medium forces the artist to accept a lack of control. 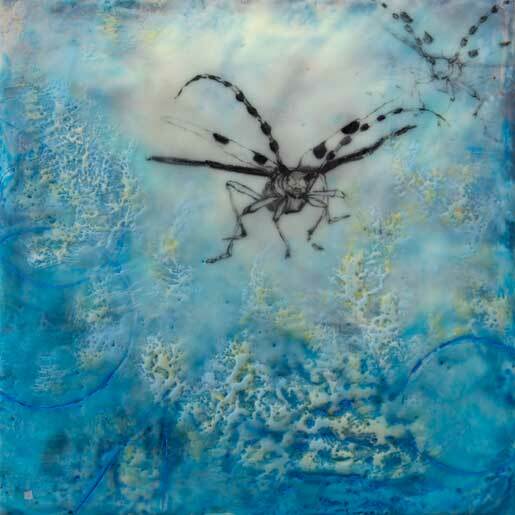 The intricate and delicate marks of Carrie's drawings incorporate an element of control back into the compositions. 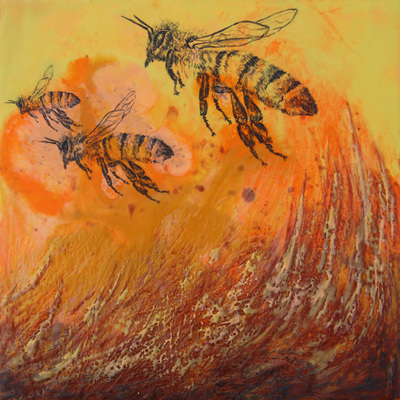 The synergy of these two media reminds humanity that the problems with the rapid decline of so many of the world's species should be a concern for us all, and that all too often do humans seek to control and dominate the wildness of natural. 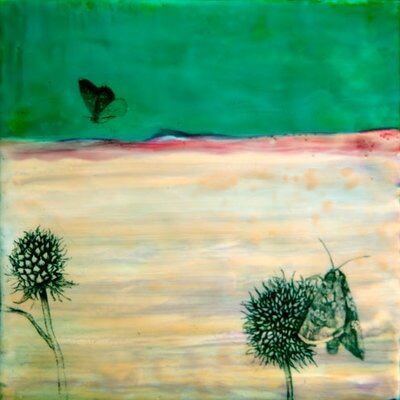 Sometimes people even try to simply take possession of whatever they want; when in reality, this earth is a large system of plants, animals, insects, microorganisms, fungi, you name it, that co-inhabit this planet. The human race must be reminded that our existence is in some part reliant upon the existence of other species, because each creature has a place in this world and each creature contributes to the Earth's delicate balance-which is the cycle of life. 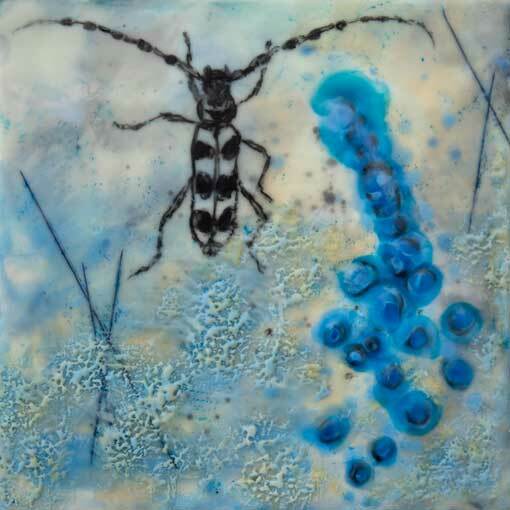 Carrie has started this series with insects because she wants to remind everyone that even though insects are small and easily overlooked, they are far from insignificant and largely contribute as a vital part of maintaining a healthy balance for the planet we all call home. 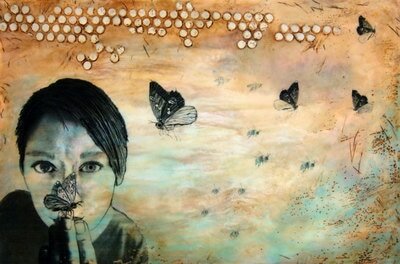 Click here to view a time-laps video of the creation of this piece.